Recently, the Zimbabwe SDI Alliance spent four days on a learning exchange to the South African SDI Alliance in Cape Town (14-17 September). 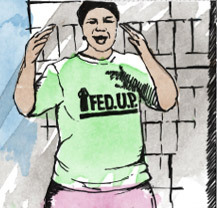 In the SDI network, Cape Town is one of four global learning centres for urban poor communities due to the capacity of FEDUP and ISN to operate at city scale and demonstrate productive partnerships with government. The team from Bulawayo included community, city and university representatives (from the National University of Science & Technology (NUST)) who are exploring the possibility of building a partnership between the Zimbabwean urban poor Federation and the City of Bulawayo. The Alliance introduced the group to a variety of its activities, foregrounding the value and approach of partnerships that place poor people at the centre of their own development. After clarification by members of ISN and support NGO, Community Organisation Resource Centre (CORC) the Zimbabweans had an understanding of the particulars of re-blocking (including its adoption as policy by the City of Cape Town in 2012) and indicated they would consider adopting it as a process that they can also try. The Bulawayo group then gave a presentation about the work they have done to date. The presentation gave an insight into the Zimbabwean Federation’s total savings, income and expenditures, total number of houses they have built and what their projects look like. The Zimbabwean Federation has also signed two Memoranda of Understanding (MoUs) with the City of Bulawayo. The group expressed the challenge of a lack of implementation and practical partnership, despite the presence of a formal agreement. The next days allowed the visitors to explore this topic further. They experienced how FEDUP and ISN formed practical partnerships and implemented projects with two municipalities. 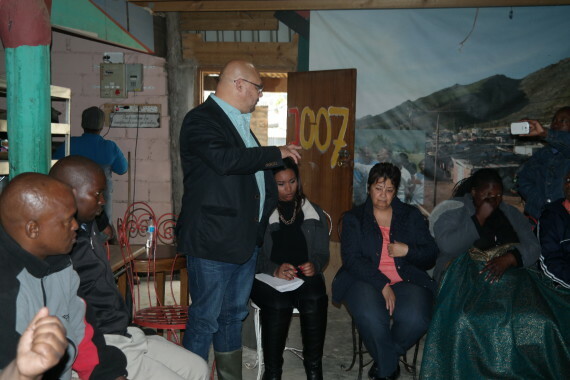 On day two, the group travelled to Langrug informal settlement near Franschoek to meet with the local Municipality of Stellenbosch. Langrug community leader and regional ISN coordinator, Trevor Masiy shared the successes and challenges the community faced with regards to being recognized as an informal settlement in that area. 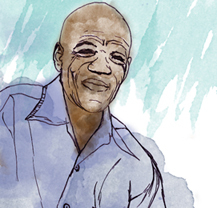 Lester van Schalkwyk, a municipality official, spoke of the difficulty the Municipality experienced in engaging with informal settlement communities. This is when officials realized the value of social and technical intermediaries like ISN & CORC to support and speed-up implementation of community – government partnerships. In Langrug this partnership translated into the first ever MoU between a local government and community, which enabled direct access to municipal funds for upgrading and implementation of re-blocking, drainage and a water & sanitation facility. 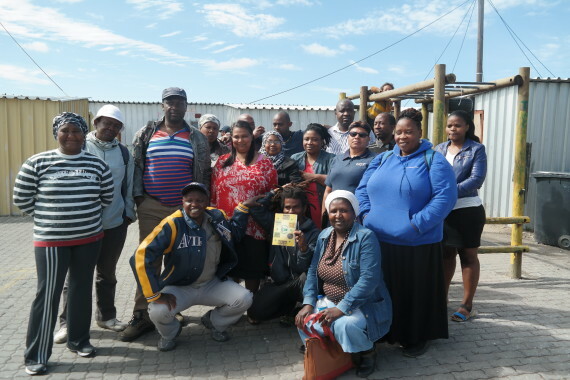 At UT Gardens settlement in Khayelitsha, the community came all out to support their leadership committee to welcome the visitors from Bulawayo. The Alliance shared the challenges and breakthroughs around upgrading the nearby wetland as a communal space. After giving a project overview, ISN & CORC members explained how they convinced the City to give them approval to use the land. A community leader, Thamara Hela, gave an overview of the recreational activities they envision for the upgraded wetland-park: a football ground, a gym facility and a park for the children to play where they could be safe. Read more here. 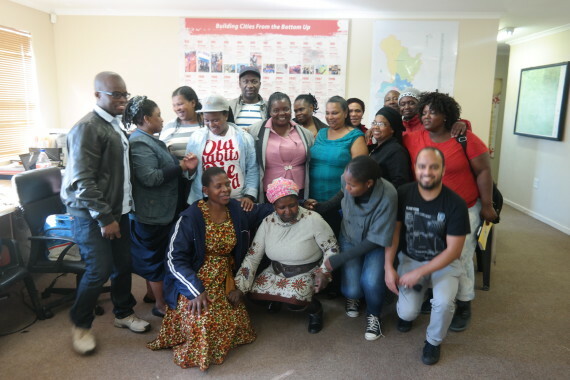 Having visited a number of upgrading projects in Cape Town, the visitors met with the City of Cape Town to gain more insight into the process of partnership formation from a City perspective. The city explained how their department fits in the broader Human Settlements Sector, shared an overview of their partnership with the SA SDI Alliance, their role as service provider for ground works, engineering, topographical surveys and the Alliance’s role as technical and social support facilitator. 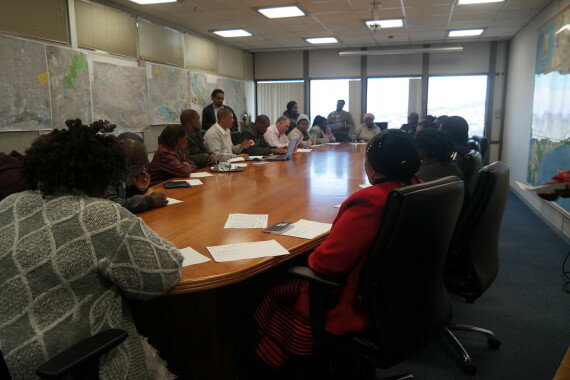 The City shared the importance of an inter-departmental approach, which increases effective communication between various actors involved in ISU: the departments of solid waste, human settlements, water & sanitation. There was also an opportunity to observe direct engagement between communities and officials. 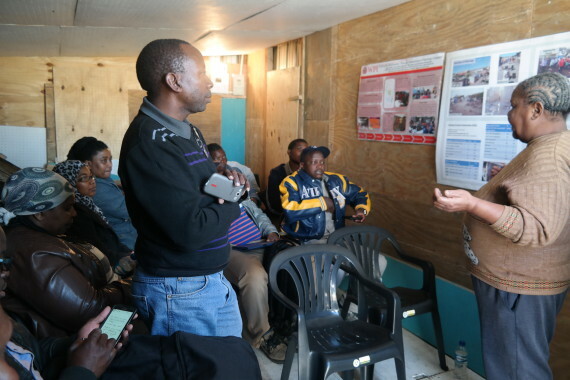 Masilunge informal settlement leader, Lindiwe Ralarala presented the current ISU project process in her settlement, in particular the challenges of flooding, water & sanitation that the community would like to see the City address. Through project modules or internships with the SA SDI Alliance students support the alliance with their technical skills in town planning or architecture. The meeting showed the visitors that strong partnerships with multiple actors can achieve more. Read more about academic partnerships here.